NB: There's a new updated version of this CV template here: Colour Blocks CV Template: 2019. This colourful CV template is one of our newest and uses tables to arrange your information in size-adjustable blocks. The colourful strips down each side expand as you add more information to the CV. The headings for each section match the colour strip to the side, making for an attractive design. The template also uses Montserrat, a really attractive modern font that is perfect for presenting your information neatly and clearly. Colour blocks creative CV template (free to download)	Overall rating:	5	out of 5 based on 6	reviews. 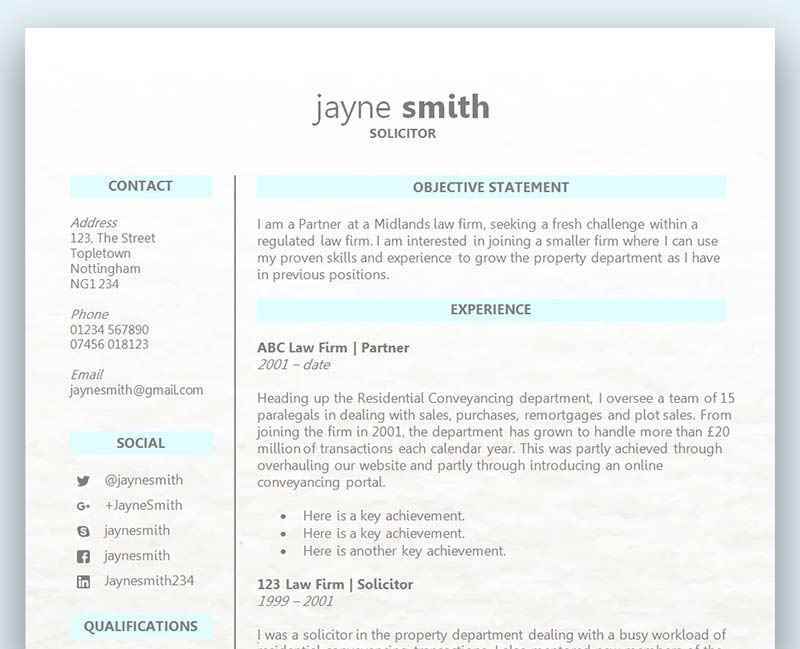 We are always adding new CV templates to our website and the colour blocks CV template is one of the latest. It has a bright fresh and clean design that is eye catching without being unprofessional, perfect for catching the attention of your prospective employers. it is built using tables which means that anyone can customise it without special software - only a copy of Microsoft Word is required! We've also included a second page for you in case you want to expand the CV template with additional sections such as 'Publications' or 'Professional Memberships'. Certifications – have you completed training and received a certificate or accreditation for your work? Then include it in your CV. Achievements – did you achieve something either inside or outside of work – for example, the Duke of Edinburgh award, or ‘Employee of the month’? These details tell your employer something about your attitude and work ethic. Skills – it is a good idea to list skills that are relevant to the job and also list other skills too. For example, good IT skills might not be directly relevant to a bar job, but could come in handy with aspects of running the bar such as printing off advertising material. Interests – some people choose to leave interests off their CV but they can be a really positive way to tell your employer what sort of person you are. For example, an interest in health and fitness or going to the gym shows your employer you’re likely to have less sick days! Moving from one job to the next every few months is not a good idea when it comes to your career. Ultimately, everyone wants job satisfaction as well as great pay, and the only way you’re going to get that is if you stick around long enough to find out. When an employer reviews your CV they will always scrutinise one of the most important sections – your work history. An employer would always rather see that you’ve spent a good deal of time at your previous places of work, and years rather than months is always more favourable. If the hiring manager is reading through your list of previous roles and you’ve only worked at each one for a short time, they are going to instantly assume that you’ll do the same with them. Although this may not be your intention, the employer can only go by your previous track record – which is completely understandable. Someone who has spent years working for a company is obviously going to have a much higher chance of doing the same when applying for a new job. There is also a very good chance that the candidate didn’t get fired from their last job if they worked there for years, and are most likely looking to advance their career.